Our mission at SoCal Pool Tables is to offer and provide you with top quality beautiful pool tables at the best prices by including everything in one simple low package price meaning that the pool table package price you see on our site includes the pool table with your choice championship 21 oz. 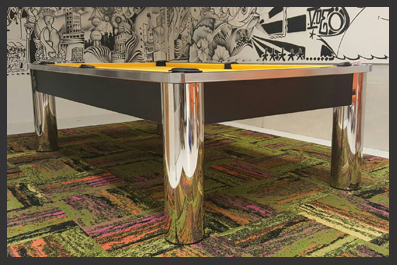 felt color, the delivery and setup of your pool table, accessories for your pool table, and matching leather shield or fringe pockets for your pool table. It’s that simple, no high overhead or separate high and extra fees for every single item, we combine it all into one low pool table package price. Being personally involved in your pool table delivery assures us that all pool tables will be setup professionally and correctly one pool table at a time and gives us that personal satisfaction of not only knowing that your pool table was setup the right way but also knowing that we provided the highest satisfaction one customer at a time. For us setting up your pool table is an art and not just a job. Precision and perfection are our specialty. Pool tables and billiard tables are very popular in today’s entertainment oriented society. Having a pool table can bring hours of fun for the entire family. 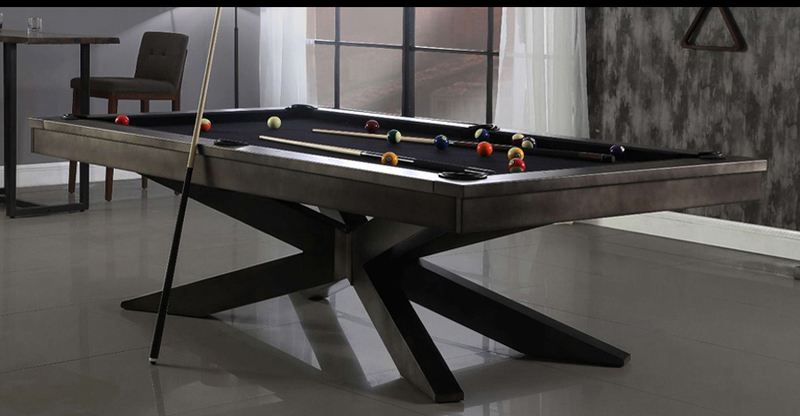 Not only does a pool table provide a game, but a top quality one also adds a beautiful piece of furniture to your home. A pool table comes in 7 foot, 8 foot, or 9 foot size. The most popular size for homes is the 8 foot pool table which is considered standard size. 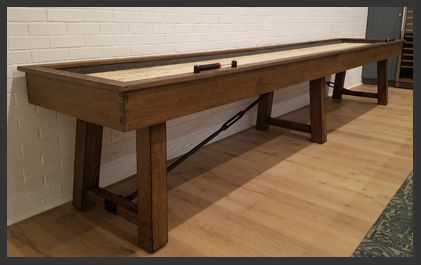 The 7 foot pool table is considered bar size and good for homes with limited space while the 9 foot pool table is considered professional size and not as common in homes. In any case, any size pool table is a great investment as long as the purchase involves a top quality slate pool table. The most important aspect of pool tables is having slate instead of any other material under the felt. Then come the materials that are used in making the pool tables and how the pool tables are built. Our pool tables feature top quality building materials and building standards. The driving idea behind every table is to keep rewarding its owner table after table. 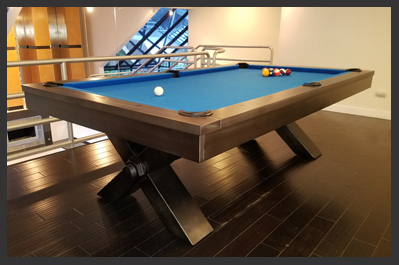 While it is easy to see that pool tables are our specialty, we do offer pool table accessories and there is nothing like complimenting your beautiful pool table and game room with pool table extras such as a one piece matching wall rack for your pool table cues, pool balls and more, corner floor racks for those who would rather store your pool table playing items this way, pool table lights to make your pool table look even more elegant, pool table covers to protect your beautiful investment, poker tables for additional hours of fun and entertainment and other extras such as team dartboards and team pool cues, pool table care items such as a very highly recommended horsehair brush and spray felt cleaner, bar stools, and ping pong conversion tops. 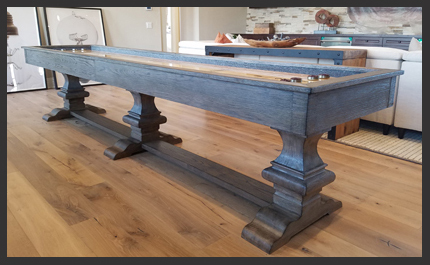 We believe that on top of adding a beautiful piece of furniture to your home that provides countless hours of fun and entertainment, a pool table has the advantage of bringing families together and allows them to spend high quality time playing a sport that even the youngest child can enjoy.